If you read most of the world’s media – Africa, Asia, and Latin America – Sepp Blatter’s appeal and his ability to hang on to power at Fifa has been nothing short of astute. After years of negative headlines in the West – in Europe and in North America – the frenzy has reached fever pitch in the wake of US allegations of corruption at the highest level in football – even though Mr Blatter himself has not been implicated. And running through all this coverage is a theme – bemusement in the US and in Europe that the most significant lot of the football world keeps voting for him. 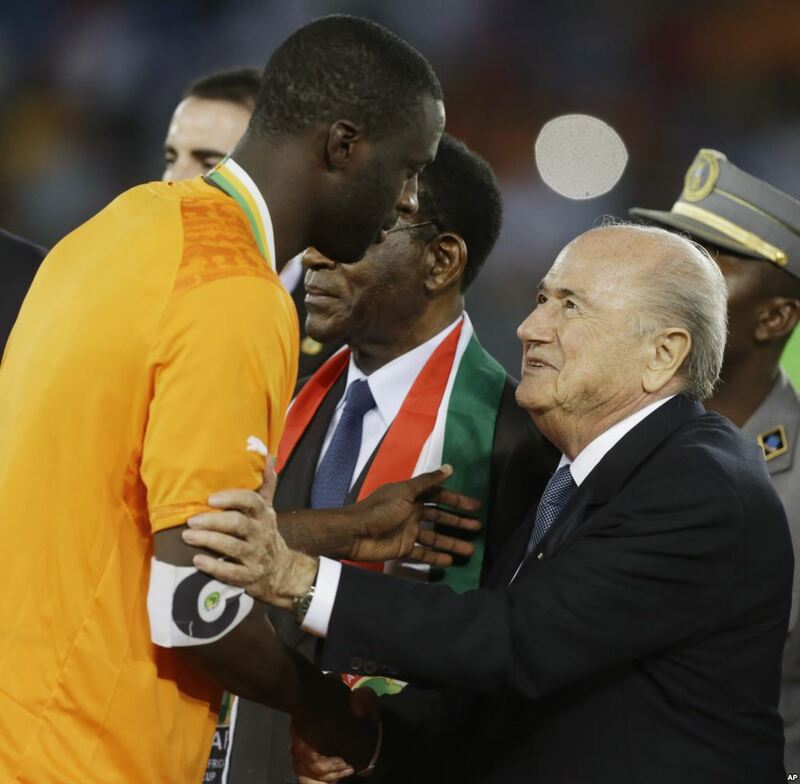 Nowhere is Sepp Blatter’s support stronger than across Africa and Asia. So why did most of the representatives from those two continents vote for him again despite his recent decision to step down? 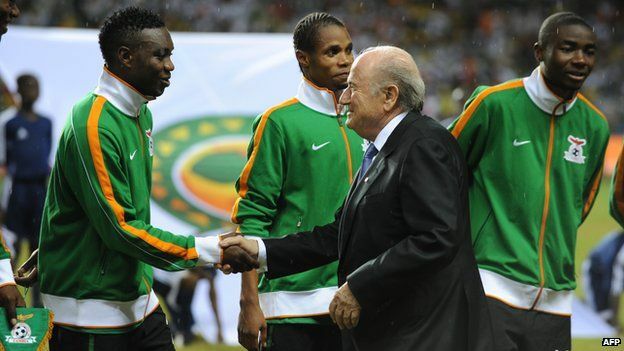 Sepp Blatter (here with the Zambian team) “feels Africa”, said one delegate. Here’s about as succinct an answer as you’re going to get – from Amaju Pinnick, who is the newly elected president of the Nigerian Football Federation, talking to the BBC: “Blatter feels Africa, he sees Africa and he has imparted so much – a lot of developmental programmes. Two things really – the first is concrete investment, often literally so. The second is respect. The later of which not Europe nor America is amply aware of in their relations with other nations on Earth. If you go to Fifa’s website and search for the “development globe,” you’ll get a jazzy tool which lets you spin the world around, with clickable symbols corresponding to every little project Fifa has carried out in recent years – all of them under Sepp Blatter. I clicked at random on Chad – not one of Africa’s footballing powerhouses like Ghana or Nigeria. But since 2011, Chad has benefited from 26 projects undertaken by the world governing body. We’re talking about artificial pitches, a technical centre, a new HQ for the federation – but also education seminars on marketing, refereeing, grassroots football and so on. The list is long. 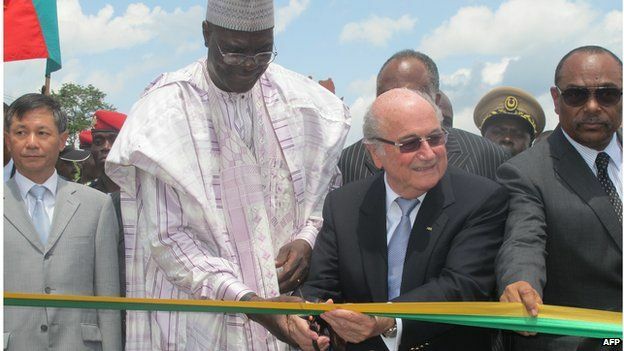 Sepp Blatter – here with Cameroon’s sports minister – has overseen massive investment in facilities in Africa. And it has been Mr Blatter who has pushed the programme. He, both as Secretary General and then as Fifa president, helped encourage the boom in football – and raked in billions of dollars from media and marketing as a result. And it has been Mr Blatter who has made sure significant amounts of that cash has been spent in pretty much every football nation that can spend it. That earns him not only a huge amount of support but respect. Respect is harder to quantify, but is just as valuable when it comes to earning votes. Sepp Blatter has been in charge as the game has become truly global and receptive – a civilized thing, really. Fifa’s historical Eurocentrism and Racism in particular, have been campaigned against and for the past years, a conscious effort has been launched to sweep away such barbaric inclinations from football – and Mr Blatter has been the driving force. This facility in the Sudanese capital Khartoum was inaugurated in 2007. A look at world media coverage shows it is not just Africa where support for Mr Blatter remains rock solid. Even in the face of the gun-wielding, atomic-bomb tooting and aid-threatening United State’s allegations, Africa continues to remain resolute in the support for a man they believe can make football the ultimate global sports. India’s Hindustan Times said Mr Blatter still had the country’s support because “Blatter’s art of giving is likely to matter more than the allegations of corruption”. El Salvador’s delegate said that as Mr Blatter remains committed to projects in the central American nation “then we have committed to vote for him”. Russia – due to host the World Cup in 2018 – remains a staunch supporter of Mr Blatter too. Moskovskiy Komsomolets is one of several papers which describe the US charges against Fifa officials as politically motivated. The World Cup has gone to Asia (Japan/Korea 2002) and Africa (South Africa 2010) for the first time, and South America (Brazil 2014) in a long-long time. 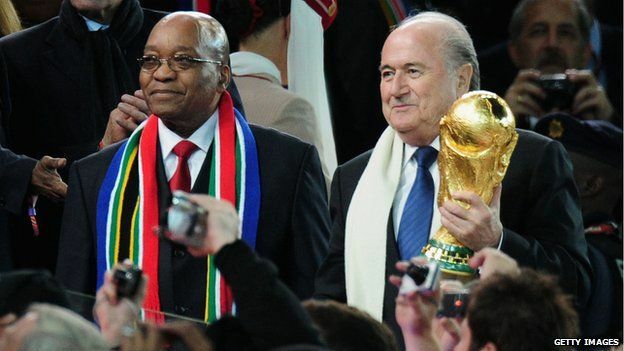 Sepp Blatter (at right, with South African President Jacob Zuma) brought the World Cup to Africa for the first time. The number of countries that can qualify for the finals has expanded at the same time – giving nations like Angola and Togo the chance to sup at the top table. Countries which had felt excluded now feel the opposite – and that too earns loyalty. But above all it earns respect because it is the right thing to do. It is the right thing civilized people fight for – fairness and equality before the laws (rules). None of which is to say it is a simple picture for Mr Blatter and his fan base in Africa and Asia. The AFC (Asian Football Confederation) and CAF (Confederation of Africa Football) are backing Blatter collectively, but it is individual associations which have the votes. And not all of them will can withstand to not fall in line with the bazooka wielding United States. And there is a feeling amongst many that, whatever the US allegations against top officials at Fifa are, the benefits Sepp Blatter has brought, far outweight Western bickering. Or, are they not happy with the direction Mr Blatter has taken Fifa. Are they not happy that soccer has truly become a global sport? “A lot of things have been done using Fifa money – the perception in Africa is that it could be Sepp Blatter’s money. 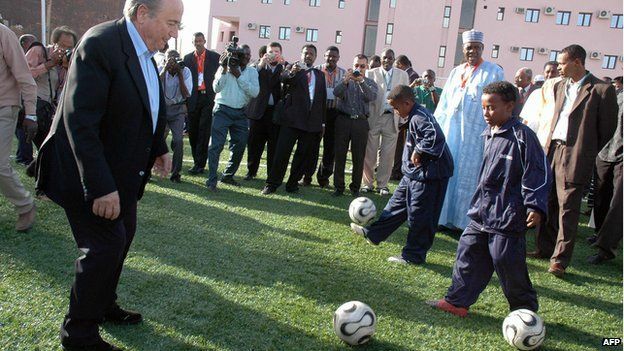 The Europeans and Americans do not say that these things should be done anyway, whether Mr Blatter is there or not. And that is troubling. 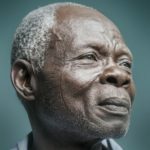 That is the view which continues to gather traction in Africa, as the crisis sparked by the US arrests of senior officials has engulfed the game. It is clear here what’s going on: Europe and America see Sepp Blatter as a socialist who loves football and wants to spread it around the world. They fear that Africa will rise in football if this happens, so are trying to cut his cord before African countries develop formidable leagues and become dominant powerhouses in the world’s most loved sport. The funny thing is socialist only becomes a dirty word if it’s included to mean look out for the well-being on Africans. White Europeans love socialism but only because their countries and citizenship remain majority white. I doubt if they would want to spread resources around if the demographics changed. I support Sepp 100% as a FIFA president and hope he continues to lead the organization. Football is a beautiful game and should be played in every household in every country around the world. Sepp tries to make this vision become a reality. Asian and African countries that support him should not back down. It is unlikely that another president would serve this interest so fiercely.